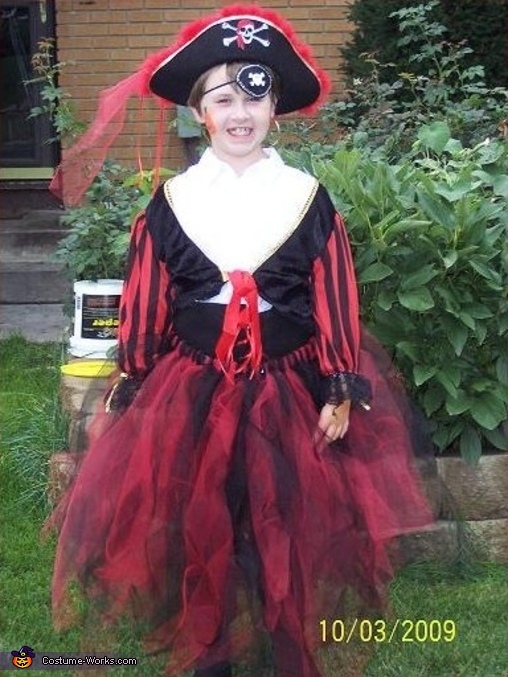 This is Rachel as a swashbuckling Pirate. Mom, Shannon says that, aside from the white shirt and jacket, the rest of the pirate costume is home made and decorated. Thank you Shannon and Rachel!